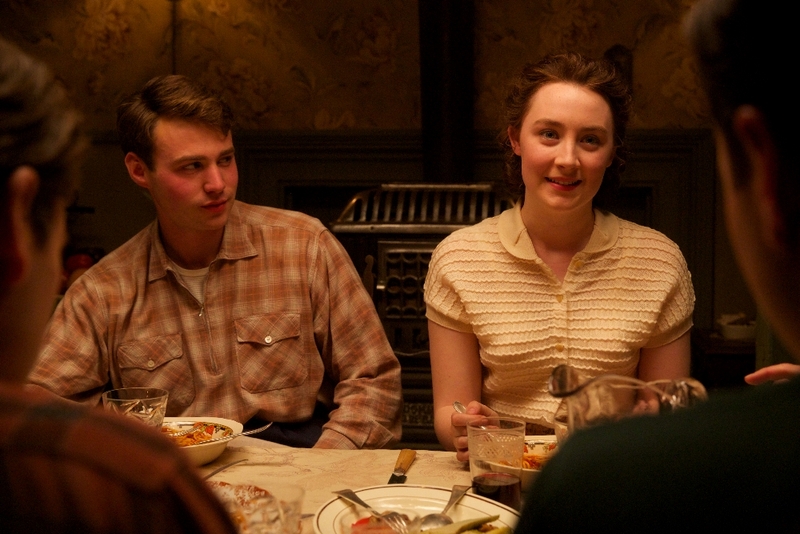 The tragedy of Brooklyn is that it is best in what it is not, which does not often inspire audiences to sing a film’s praises. Worse still, insofar as the film may hope to hear itself wildly applauded, it’s a film that seems to hardly be about anything at all, and it isn’t… which is bloody brilliant. 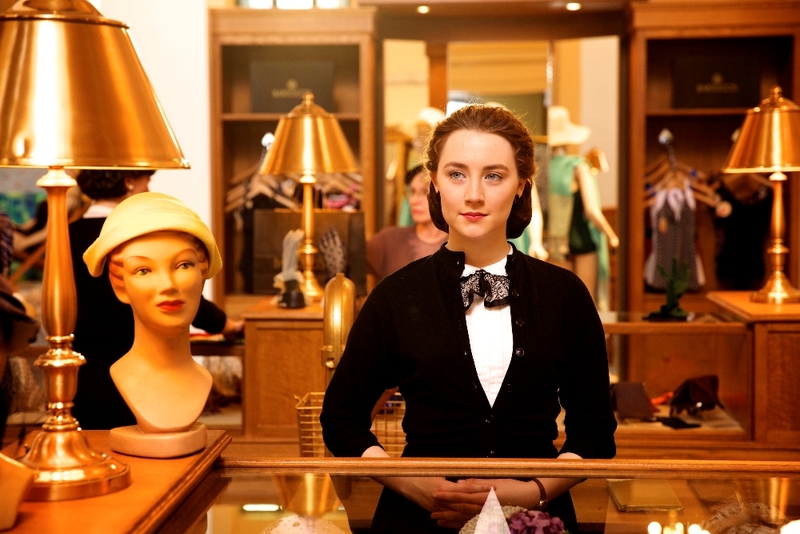 It’s the ’50s, and Eilis (Saoirse Ronan) is an Irish girl who is about to leave her home for a chance at a brighter future in Brooklyn. She has nothing to get her started, but a place to live, and a job, both apparently coordinated through the Catholic Church. Actually, that’s not a bad start. 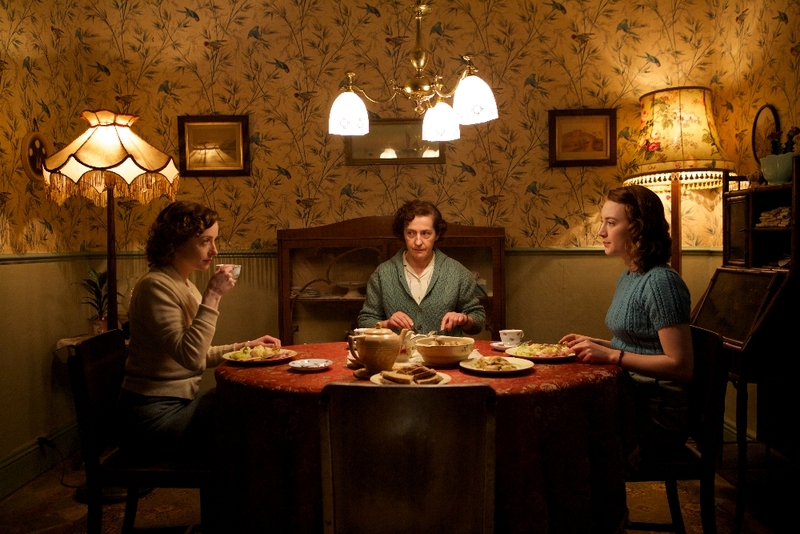 Eilis lives in a boarding house with Mrs. Kehoe (Julie Walters – who is channeling her own Educating Rita role to a degree – but, the old, wise version), and a few other girls who have ventured across the pond with similar hopes of finding their way in America. She’s homesick, and then she’s not, and just when she thinks she has some idea of what to do with herself, a family tragedy takes her back to Ireland. Now we must wonder along with her about the strength of the pull home has, and the extent to which she has really become something more than a child. We move through Eilis’ year abroad following the simplest notes of life. She works in a fancy store, but doesn’t get much from it beyond what she might working anywhere else. Not for a while, anyway. She goes to a church dance every Friday, because it’s the only way she has to meet anyone. She also spends a fair amount of time lying in bed and staring at the ceiling. Well, the film nudges up to us, what would you do? She learns who she is as much by comparing herself to the girls who have acclimated far more than she has, as by contrasting herself when an even “fresher” new girl shows up. 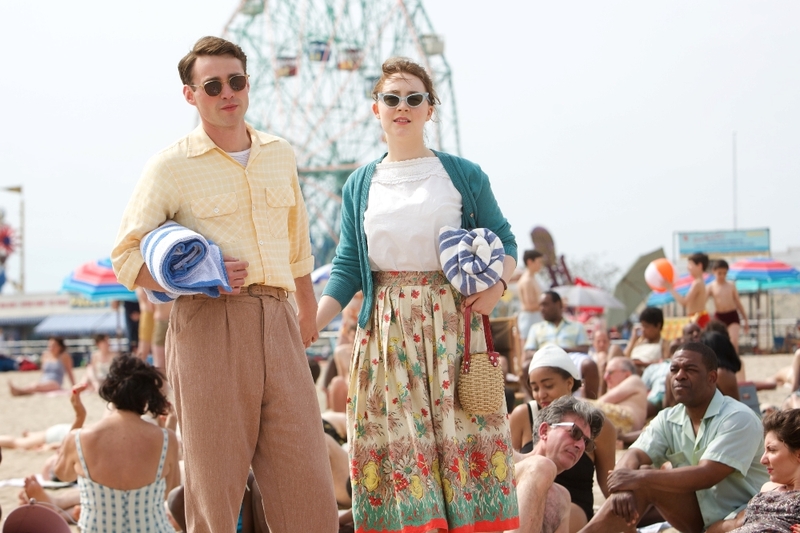 Eilis finally meets a man, Tony (Emory Cohen). 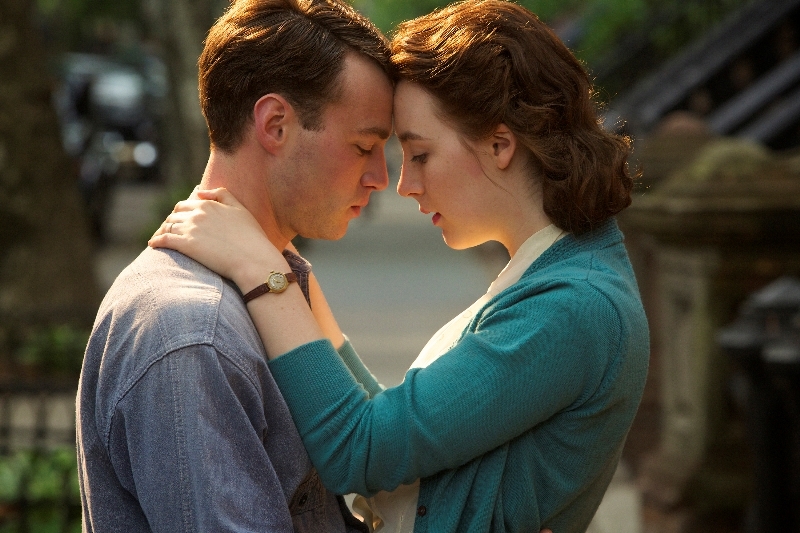 Their romance is as fascinating as it is pedestrian, becoming bizarrely enthralling by way of its mundane familiarity. There is nothing special about them, just like everyone else. When it seems we are perhaps moving toward a critical juncture, both in the love affair, and in Eilis’ ability to feel that she is happy generally, Ireland beckons. 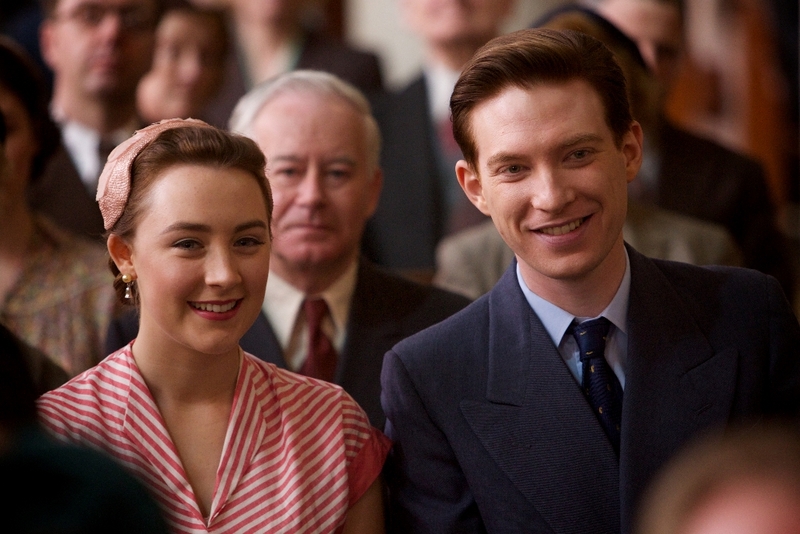 It is a trick of marketing to suggest that the film has Eilis in anything like a real love triangle, or even potential love triangle, with the man in Ireland who takes a fancy to her, Jim Farrell (Domhnall Gleeson), but it isn’t completely false to suggest that Eilis has a kind of crisis of identity. It isn’t that Eilis doesn’t wonder about staying in Ireland, or about being with Jim, but it has more in common with woolgathering than anything like being torn between two men. She wonders about wondering more than she wonders. 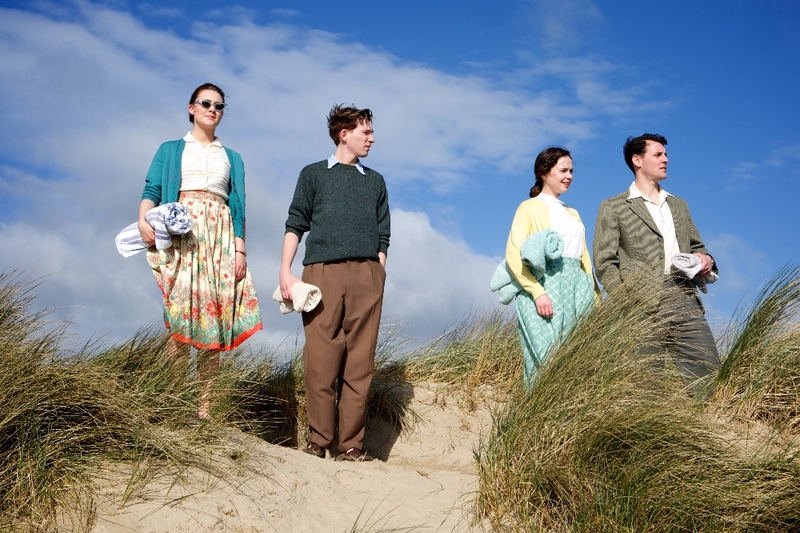 The film ends with a somewhat cliche scene that has Eilis taking on the role of the savvy expat, delivering lines she heard from another at the film’s opening. It may feel forced, and it’s something that is cinematically difficult to pull off, but it’s really the only thing that happens in the movie, so you have to allow some latitude. Again, it’s a film that is hard to cheer, because the only thing that happens is Eilis. A kind of Found in Translation, there is only a person here, and not really a story. Ronan manages to carry things impressively, and with hardly a moment that she isn’t in the frame, it’s a tall order. It’s also a role that could easily be overlooked, because there isn’t anything grandiose to do with it. 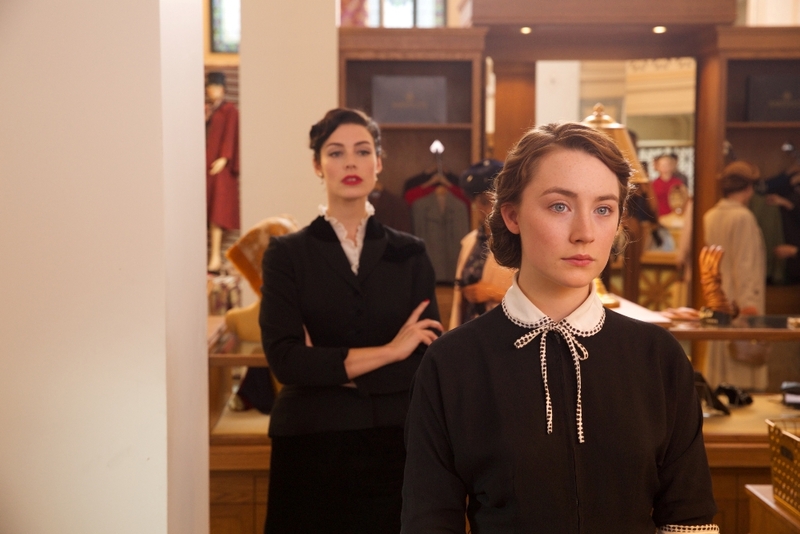 She has to win you over with the smallest details, in a film about small details (though random Brooklyn natives pronouncing Eilis correctly with no instruction is to one side of cinematic honesty), and she nails every note. The film’s pseudo-climax (because it doesn’t really have one) is easiest to describe as Eilis “deciding” something, but it is a case of the ease of shorthand ruining something. Eilis may even think of herself as having decided, for such are people, but at that moment, it’s really simply that Eilis, finally, is. And, that’s a hell of a story.